A repository for resources published by ASCN and its partners. 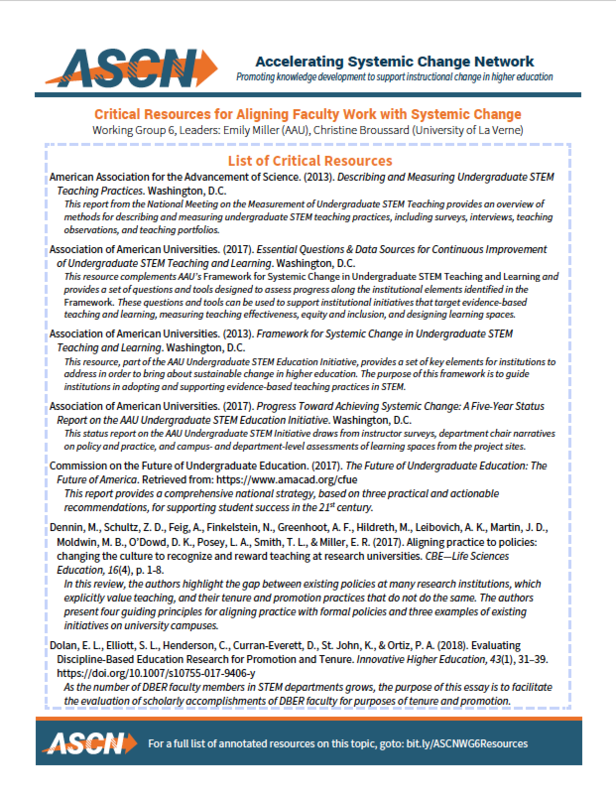 Produced by ASCN's Working Group 6, this document lists critical resources for aligning faculty work with systemic change. 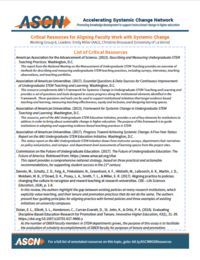 A list of the resources and fully annotated bibliography are available for download. 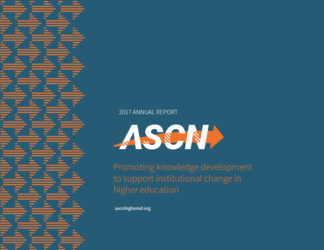 We are pleased to present the 2018 annual report for the Accelerating Systemic Change Network (ASCN) which provides an overview of ASCN activities, highlights our milestones and accomplishments, and includes some of our vision for the future. 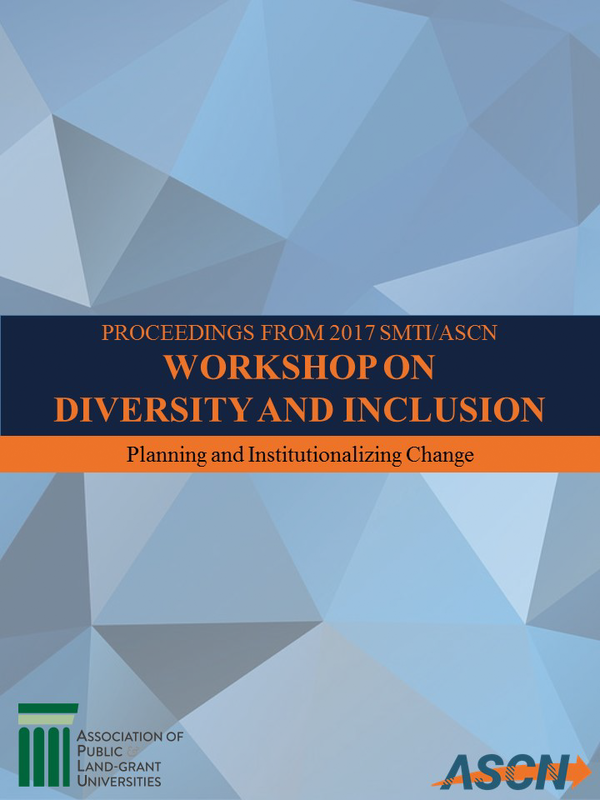 We are pleased to present the very first annual report for the Accelerating Systemic Change Network (ASCN) which provides an overview of ASCN activities, highlights our milestones and accomplishments, and includes some of our vision for the future. This summer, ASCN partnered with the Association of Public and Land-Grant Universities (APLU) to organize the 2017 SMTI/ASCN Workshop on Diversity and Inclusion. 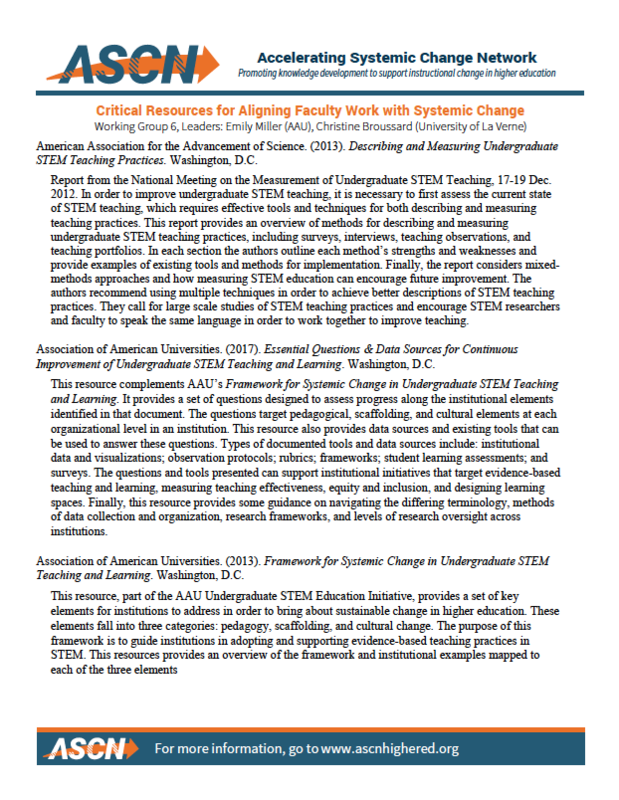 This report captures the ideas discussed and new understandings developed during the workshop. 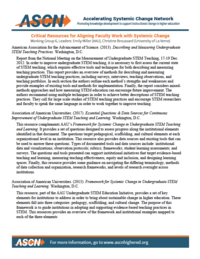 Four cases were analyzed by ASCN Working Groups and used to stimulate discussion amongst all participants on what is working or not on their campuses. These cases are included in this publication.